Indian Spiced Carrots with Curry Sauce are roasted carrots coated in Indian spices & served with a creamy curry sauce. Easy to make & Weight Watcher friendly- 1 SmartPoint! Sometimes a meal is all about the side dish. A good side dish can really elevate a meal. This is why I love Thanksgiving so much. Side dishes could literally be a full meal for me, especially a plate of unique side dishes. My Indian Spiced Carrots with Curry Sauce are a decadent, easy to make side dish perfect for any meal. Roasted carrots coated in Indian spices and served with a creamy curry sauce are delicious with every bite. This is a Weight Watcher friendly recipe and each serving is 1 SmartPoint. I’m always looking for different ways to roast vegetables. 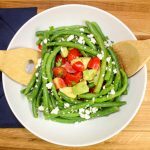 Vegetables can be a versatile side dish because with the right spice combination, vegetables can be transformed into a completely different side dish each time you make them. Roast veggies with basil, oregano, and thyme for Italian spiced veggies, roast vegetables with cumin and chili powder for taco spiced veggies, and roast vegetables with garam masala and coriander for Indian spiced veggies. I recently really started to really love roasted carrots. Usually, my preferred method of eating a carrot is raw with hummus or in a salad. Crunchy and a bit sweet. Roasting carrots is a real game changer for me. Perfectly roasted carrots are so soft they melt in your mouth. Carrots make for a great roasted vegetable side dish and this recipe is the perfect side dish for any meal. The main spice in this recipe is Garam Masala. If you’ve never cooked with garam masala, it will be a staple in your spice rack after making this dish! Garam Masala is a common spice in Indian cooking. It has a mixture of pepper, cloves, mace, cardamom, cumin, bay leaf, and cinnamon. It might sound like an odd spice combination but it’s comforting, a bit sweet, and goes great with pretty much any vegetable, especially carrots. This recipe is easy to follow and only takes about 45 minutes to make. Mix baby carrots with olive oil, garam masala, coriander, salt and pepper and roast in the oven for about 40 minutes until the carrots are soft. While the carrots are roasting, make the curry sauce. This sauce is SO GOOD. I could have made this recipe without the sauce and it would have been good, but dipping the carrots in the sauce really takes this dish up 20 levels. I could totally dip anything in the sauce and be a happy lady 🙂 . 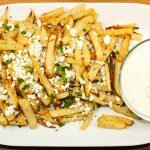 The sauce is a mixture of Greek Yogurt, Garam Masala, and lime juice. Just mix everything together and patiently wait for the carrots to finish roasting! Indian Spiced Carrots with Curry Sauce are a decadent, easy to make side dish perfect for any meal. 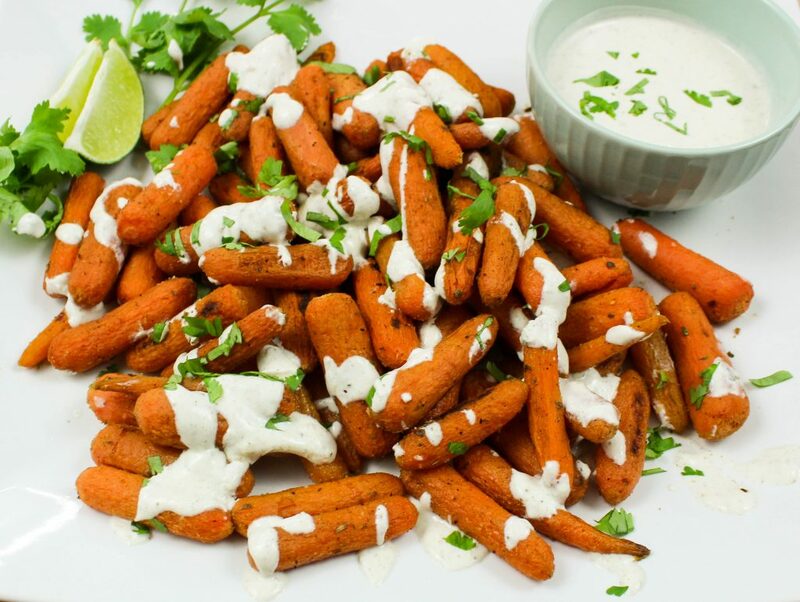 Roasted carrots coated in Indian spices and served with a creamy curry sauce are delicious with every bite. Easy to make, perfectly spiced with a hint of sweet, and only 3 grams of fat per serving. I like to garnish my carrots with fresh cilantro on the top to add some freshness. Weight Watchers friendly recipe and 1 SmartPoint per serving! In large bowl, add carrots, olive oil, salt, pepper, garam masala, and coriander. Mix well. Line baking sheet with parchment paper and spread carrots in single layer on sheet. Roast in the oven for 40-45 minutes, tossing halfway through. While carrots are roasting, mix all ingredients for curry sauce. Serve curry sauce on the side of the roasted carrots. 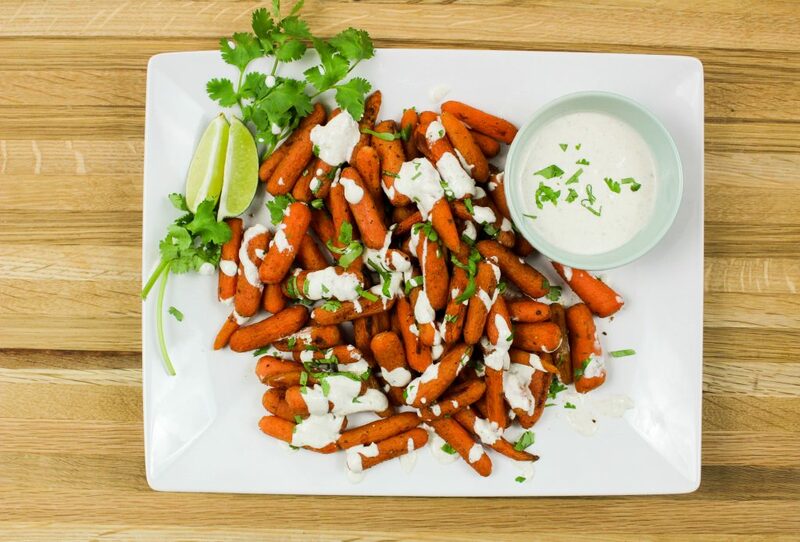 Garnish carrots with cilantro and lime wedges. February 24, 2017 at 12:06 pm We love carrots in our home but I've never done a version with curry! I'm loving this! February 24, 2017 at 3:42 pm I always have carrots in my fridge too! Thanks Christina! February 24, 2017 at 3:41 pm Yes, super healthy and packed with flavor :) Thanks Mamaguru! February 24, 2017 at 2:24 pm This looks and sounds delicious. I've got to get some Garam Masala - but luckily I've got all the other ingredients handy to make this dish over the weekend! February 24, 2017 at 3:39 pm That's great!! It's a great dish if you want to change up your side dishes. Thanks Kirstie! February 27, 2017 at 9:59 am Curry flavors are the best! I hope you try this recipe out soon Amanda! February 27, 2017 at 9:53 am It really is a great combo! I hope you make this soon Robin! February 26, 2017 at 8:06 am We love carrots and need a new recipe for them! This looks awesome! February 27, 2017 at 9:47 am Carrots are so good! Thanks Casey! February 26, 2017 at 8:54 am I typically eat my carrots raw with hummus as well. But, this looks really good, and I love a good curry sauce. I will have to make this for my family this coming week. February 27, 2017 at 9:44 am This is a great way to change things up with carrots Erin! I hope you give this recipe a try soon! February 26, 2017 at 3:21 pm This look so delicious. I will be trying this recipe. March 1, 2017 at 10:58 am Thanks Leigh! I hope you try this recipe sometime soon! 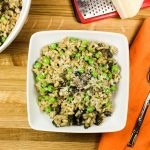 March 1, 2017 at 10:55 pm This sounds so delicious! I rarely experiment with Indian spices, but this sounds delicious! March 2, 2017 at 1:10 pm Oh you should! This is a great beginner dish for Indian food. Thanks Brittany! 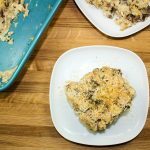 March 5, 2017 at 8:55 am What a great way to change up a side dish! March 6, 2017 at 10:03 am It really is! Thanks Monica!! March 6, 2017 at 10:04 am I wasn't really either until I made them with this sauce :) !! March 7, 2017 at 12:58 pm Thank you Sasha!